What’s new on the Common Good and fashion front? 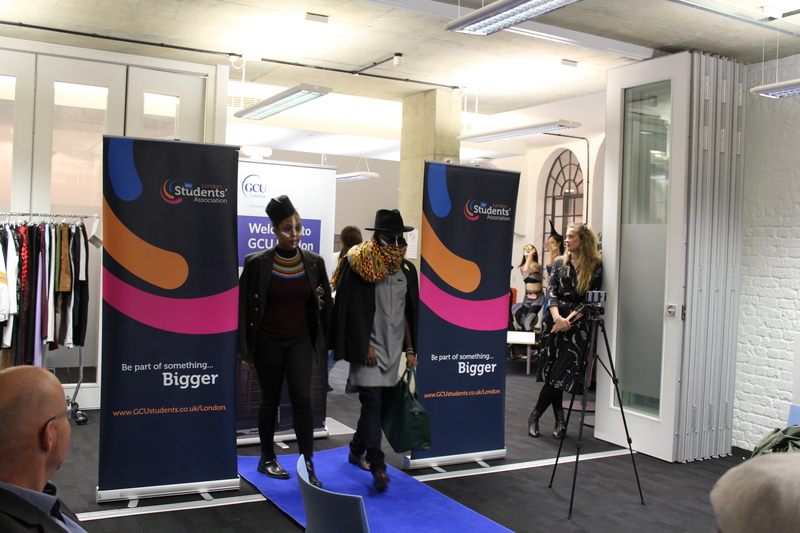 The Common Good Student Society held its annual event: Charity Fashion Catwalk. The event was held on Thursday 22 February 2018, with tickets costing £5 and all proceeds going to Dress for Success (DfS); the charity chosen by students. This year the audience cheered for 3 student teams, each one working with a different theme. 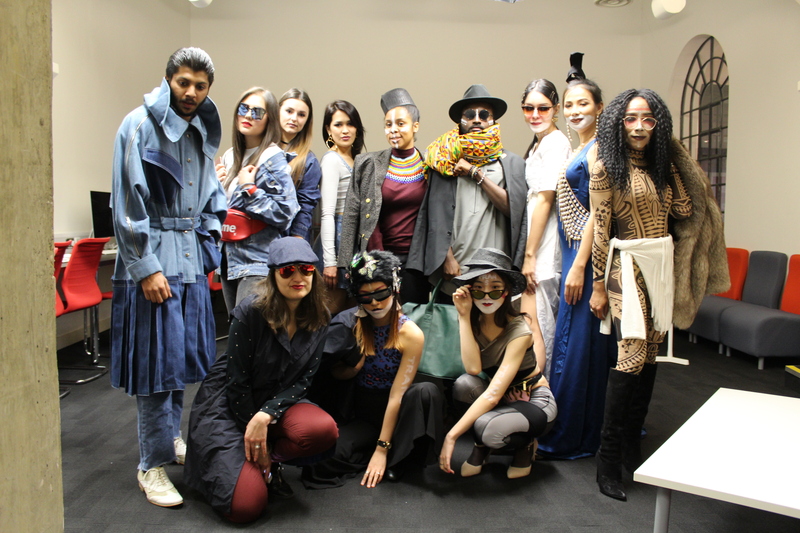 We saw clothes heavily influenced by the traditional patterns of Africa, a team showcasing different shapes and shades of denim head to toe, and the winning team exploring the different meanings of “trans” – transnational, transgendered, transformation! 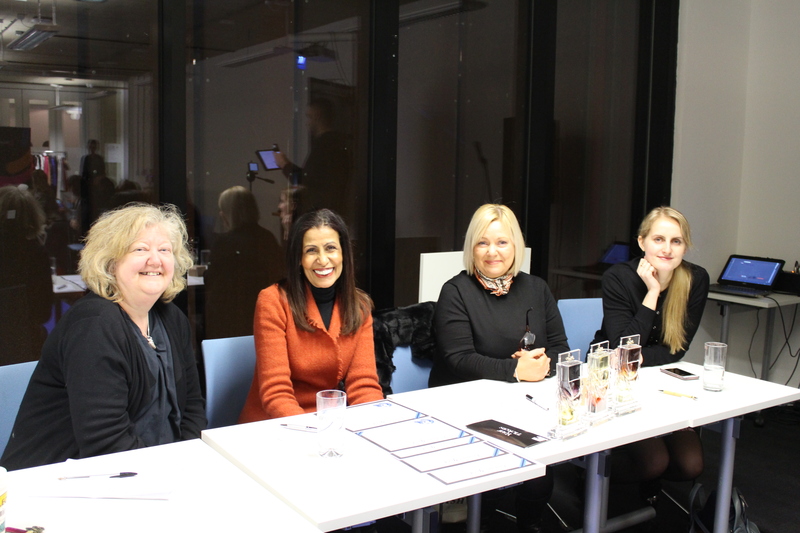 The best team chosen by an expert panel won tickets to London Fashion Week Festival in February. 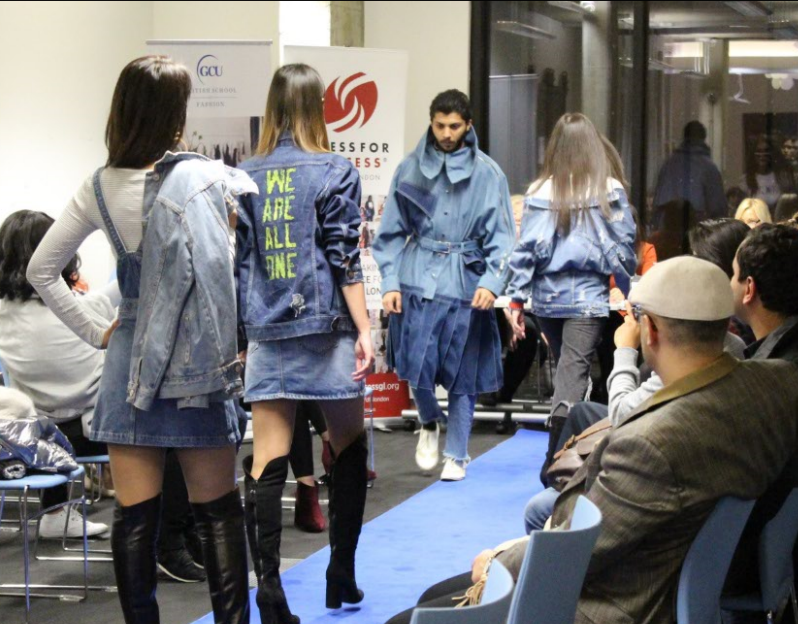 This year’s extra creative input was recognized by the panel who decided to announce an additional individual award for Ahmed Najath (MSc Luxury Brand Marketing) who modelled a handmade denim jacket designed by a fellow GCU London student. Ahmed also received a gift voucher from GCU London’s graduate and former Common Good Student Society leader Nele Odzuck (MBA Luxury Brand Management) who is currently working within digital marketing at Urban Outfitters. Part of the evening was a presentation of Dress for Success and their biggest achievements in 2017. 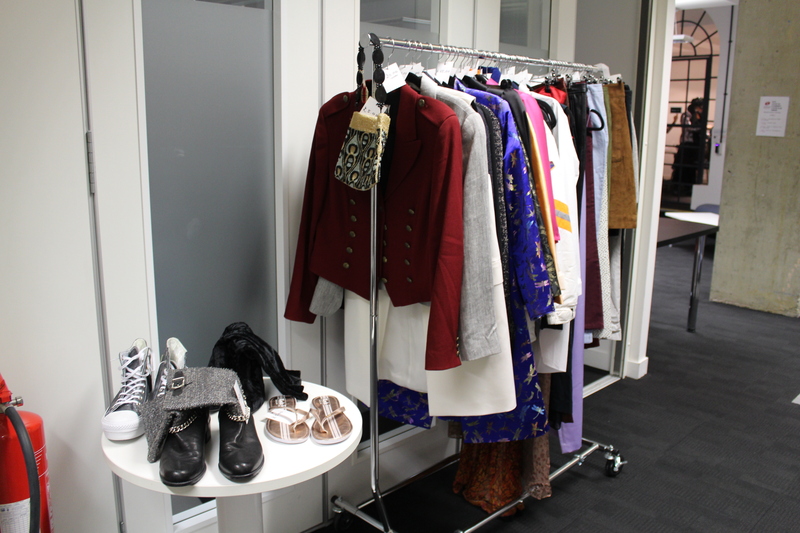 After the main show, the event continued with the sale of designer clothes, shoes and accessories donated by supporters of DfS. The sale continues on campus – the last items will be available until 15th March 2018. If you are interested in taking a look and/or purchasing, please contact Eva Koleckova (Student Office) or Scarlett Hooper (Students’ Association London). Come and gift yourself, your partner or a friend with a nice piece for the wardrobe – it was International Women’s Day in the end!